We care for the lives of our employees and pay great attention to employees’ health. We have conducted a series of policies and measures to promote the formulation of safe and healthy system in order to ensure employees devotion to their work with healthy bodies and minds. We follow the concept of putting people first and attaching the utmost importance to employee health. We regard the prevention and treatment of occupational diseases as a long-term task, therefore we adhere to a policy that emphasizes prevention and combines prevention with treatment. We carry out regular health examinations and implement occupational disease examination system and have gradually implemented the convalescence system that attaches special importance to production workers. We also sought to improve workplace conditions, providing employees with approved protective items to reduce the hazards caused by poisonous and harmful substances. We provided guidelines to our affiliates covering industrial hygiene and employee health issues, especially food and water hygiene, heatstroke prevention, precautions against infection, and the treatment of injuries or illness. We have also conducted medical examinations of field operators, checked and analyzed workplace hazards, and offered health guidance and psychological consultation to employees. All employees are responsible and accountable for maintaining Safety standards. 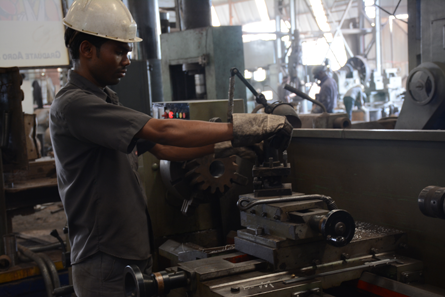 Safety standards to be incorporated in all work procedures. Imparting training to create Safety consciousness. Safety enhancement through Participative Management. All work practices & procedures to be in consonance with statutory Rules and Regulations on safety.